When a relative passes away, often times, they will leave their family money, property, or an automobile. But what happens if someone leaves behind jewelry that we don’t particularly know what to do with? It might be time to look into redesigning jewelry or having old wedding rings redesigned. Here’s a case in point. 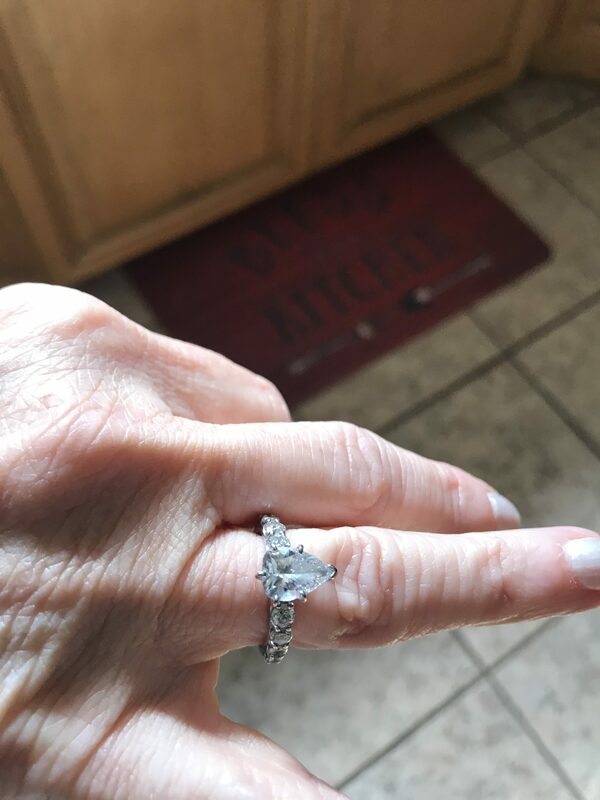 Recently, a woman visited the Jewelry Design Gallery with an old diamond wedding ring left to her by her deceased mother. Full of many large and small diamonds, the ring was incredibly meaningful to her, and at the same time, she also wanted her own reset diamond ring. 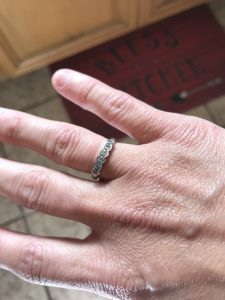 Fortunately, our jewelers are experts with the process of making old wedding rings redesigned, and we were able to create a new setting for her own pear-shaped engagement ring with those precious diamonds. Something old became new, and now she wears it as a constant reminder of her loving mother. What’s more, the granddaughter benefited from this family heirloom, as well. Using the smaller diamonds from her original ring, the Jewelry Design Gallery custom-made a ring for the woman’s daughter’s 40th birthday. Who knew that resetting diamonds could be such a beautiful family affair? If you have jewelry that you don’t know what to do with – be it a family heirloom or simply something that’s no longer your style – we can help. The Jewelry Design Gallery can reset diamond rings or start fresh, completely redesigning jewelry into something new. Stop in our Manalapan store or call 732-536-1184 today to see what we can do for you.